I was just telling Adrian the other day at the Maximise Your Potential (MYP) ceremony that we have completed a full cycle of the Chinese Horoscope. The newest batch of P4s were borned under the same Chinese Zodiac animal as that of the very first batch of P4s, thirteen years ago. ZhiWei was one of the RunForFunds kids when we first started and we are very very proud that he has returned to be our guest-of-honour along with his mom. We hope to see more kids making the return to continue to motivate and encourage their juniors. I hope to see these kids taking over RunForFunds when we are no longer able. The 13th Maximize Your Potential (MYP) award ceremony held on 23rd April 2016 was special. The guest-of-honour was a recipient of the inaugural Maximize Your Potential award in 2004. We also have a bumper crop of 25 award recipients!! (6 P4, 9 P5 and 10 P6). They have been highly recommended by their teachers for good behaviour and grades and more importantly, potential to excel. Zhiwei, an inaugural MYP award recipient in 2004, is a role model for the MYP students. His academic history. Zhiwei is a first year undergrad at NTU. From GMSP, he excelled at PSLE to qualify for Hwa Chong's 6-year Integrated Programme. While at school he participated in various CCA's and excelled in Taekwondo, winning national awards. He shared time management tips with the students. His Naval Diving Unit experience. Zhiwei completed his NS at the elite naval diving unit. Yes, he is a frogman!! The students were thrilled to meet one in person. Zhiwei shared how the Navy taught him discipline and teamwork. It also exposed him to different cultures and countries (Japan, US) when he travelled for overseas missions. His responsibilities as the eldest child. Zhiwei is the eldest of 5 siblings. Since young, he has had to share with his mum the burden of educating and raising his younger siblings, who have done well in school. Zhiwei admitted that circumstances were tough but they persevered. He also took the opportunity to thank his mum for loving and caring for the family. Adrian encouraged the students and parents to embrace 3 enduring values exemplified by Zhiwei. Being sensible: Making wise choices, self-sacrifice and putting benefit of family before self. Being responsible: Being clear about personal accountabilities at school/home and acting on them. 2015 P6's did very well in their PSLE and they were posted to the following secondary schools: Victoria, Beatty, Cedar Girls, Punggol, Geylang Methodist and Anglican High. (For those of you who are familiar, to qualify for Cedar, Victoria and Anglican, students need to score more than 240++, a very good score). Adrian encouraged the current P6's to aim high and study hard (and smart...focus on weaker subjects) like their predecessors. He will follow-up with them in July and Aug - pep talks over lunch. GMSP principal Mrs Rina Liang congratulated the award winners and urged them to keep up their good work. She also encouraged parents to follow the example set by Mdm Kek (Zhiwei's mum) to guide and support their children, especially when the going gets tough. Mrs Liang then invited Zhiwei and Mdm Kek to give out the awards. It was gesture that was heart-warming and inspiring. Some parents told me they are inspired by Mdm Kek. Mdm Sulis thanked RFF supporters for believing in the MYP students. She also shared her personal story that demonstrated the importance of hard work and discipline to overcome tough family circumstances. The amount you see above is after $2 monthly deductions for account maintenance and addition of interest. $5,799 from Jaywalk from his Dec half marathon. Mrs Rina Liang, Miss Theresa Tong and Mdm Sulis – Thank you for your labour of love. Through you, we have impacted close to 100 young lives in past 13 years. May we impact 100 more in the next 13 :-) On behalf of the students, their families and MYP supporters, I extend our heartfelt gratitude. RFF Supporters - Thank you for trusting and supporting me when I first reached out to you to start RunForFunds 13 years ago. In our 13-year journey, we've impacted many lives positively. I look forward to your continued support and prayers for RFF. 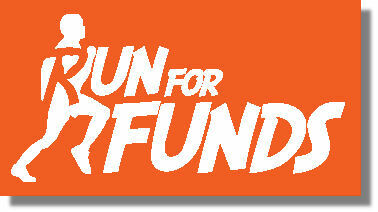 Again, it's the time of the year where we move into yet another year of RunForFunds. First, it was 10 years. Now, we are embarking on a new milestone. This year's award winners, correct me if I am wrong on this one, were born under the same Chinese Zodiac animal as that of our first batch of award winners 12 years ago. Yes, we have come a full cycle. The guest-of-honour for this year’s MYP is Mr. Tan Zhiwei. Zhiwei was an award winner at the inaugural MYP in 2004. Since then, he has excelled in the Integrated Programme at Hwa Chong, served with distinction as a naval diver during his NS and is now doing well in his 1st year studies at NTU Business School. Your support for RunForFunds (RFF) has made a difference to more than 90 young lives in the past 13 years. "If you don't play my song, I'll tell Auntie Mary." "You bring family here, I'll play your song." For someone who has been playing with the same tennis string since 1993, I felt marooned when Gamma Ruff 16 was discontinued. Despite it being out of production for a number of years, tennis-warehouse.com still have a few pieces of this precious commodity left. In the interim, I tried the Toalson Rencon Devil Spin but I didn't like it. Anyway, I went down to TennisHub.sg (nearest tennis pro shop from my place via public transport) and consulted the experts there. They recommended a hybrid combination for me. Babolat RPM Blast 17 (cross) and Babolat Xcel French Open 17 (main). 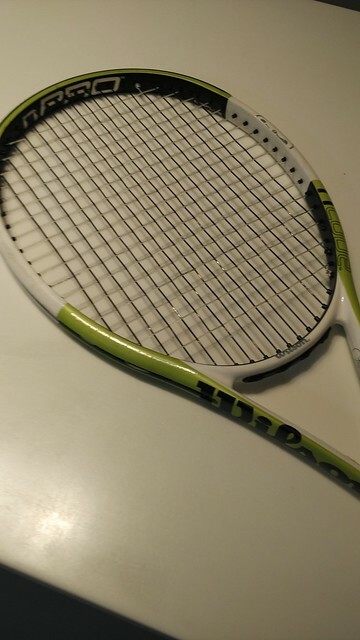 Since I am using this hybrid for the first time, it was agreed that we play it safe and try mid tension first at 55 lbs (I normally play high tension at 58 lbs on my Wilson nCode nPro Team and 62 lbs on my Prince Triple Threat Hornet). 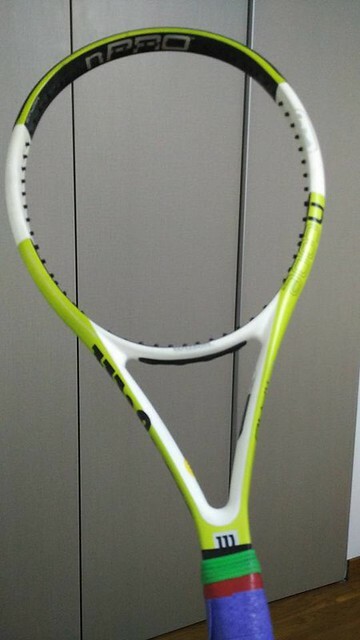 I got my racquet back the same day and I can't wait for Sunday to start pounding with the new strings. Will see how it goes. If this hybrid is suitable, I may opt to move up the tension the next time I restring. Oh and forget about mail ordering Gamma Ruff 16 from tenniswarehouse.com.